Sony Pictures Home Entertainment has announced a December 27, 2016 release date Underworld and January 17, 2017 for Resident Evil: Afterlife. Both 4K UHDs will come with Dolby Atmos soundtracks (TrueHD 7.1 compatible). Each film comes with a Digital HD Copy. 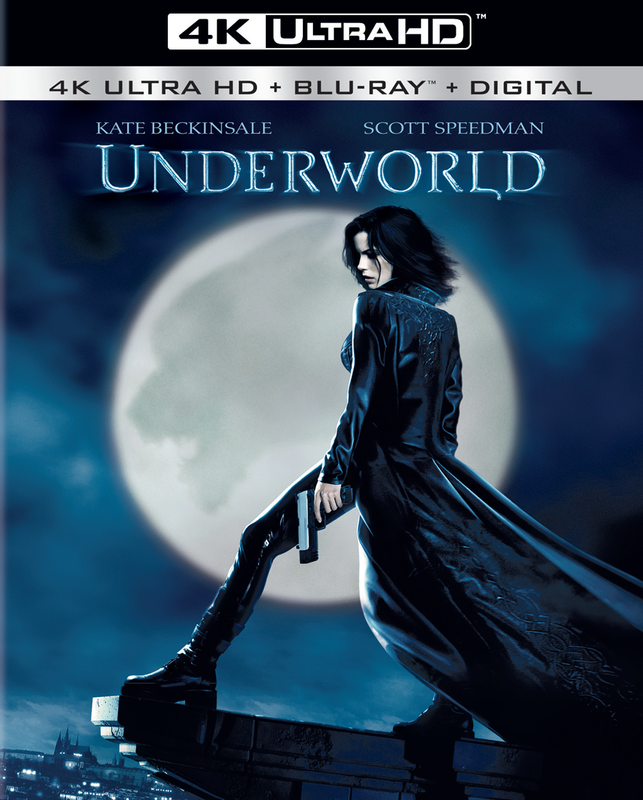 Underworld Synopsis: In the Underworld, Vampires are a secret clan of modern aristocratic sophisticates whose mortal enemies are the Lycans (werewolves), a shrewd gang of street thugs who prowl the city’s underbelly. No one knows the origin of their bitter blood feud, but the balance of power between them turns even bloodier when a beautiful young Vampire warrior and a newly-turned Lycan with a mysterious past fall in love. Kate Beckinsale and Scott Speedman star in this modern-day, action-packed tale of ruthless intrigue and forbidden passion ¬ all set against the dazzling backdrop of a timeless, Gothic metropolis. 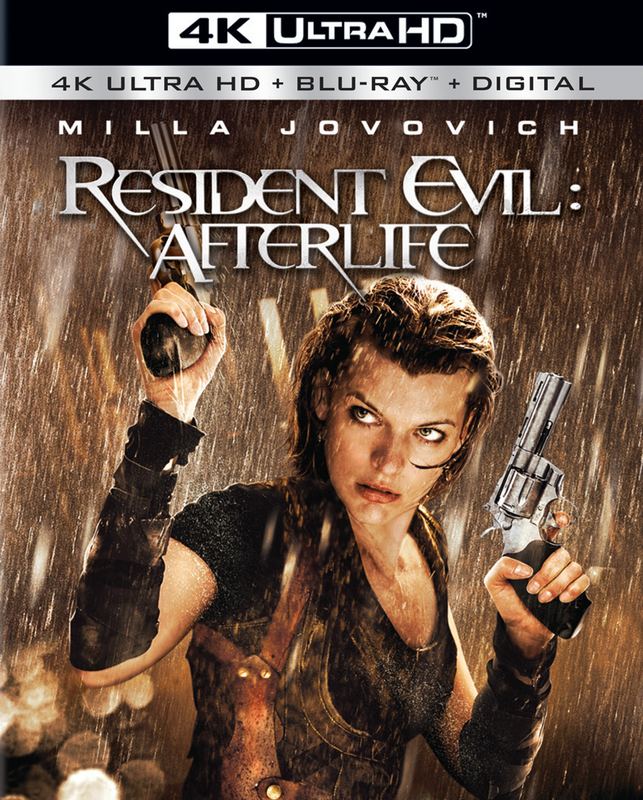 Resident Evil: Afterlife Synopsis: After a one-woman assault on the Umbrella Corporation’s fortress, Alice’s (Milla Jovovich) superhuman abilities are neutralized. Now, fleeing the Undead masses created by the T-virus, Alice reunites with Claire Redfield (Ali Larter) and her brother, Chris (Wentworth Miller). Together they take refuge with other survivors in an abandoned prison, where a savage zombie mob stands between them and the safety of “Arcadia.” Escaping these bloodthirsty mutants will take an arsenal. But facing off with Albert Wesker and the Umbrella Corporation will take the fight for survival to a new level of danger.